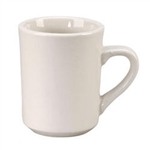 World Tableware Tiara Mug White - 8.5 Oz. G.E.T. 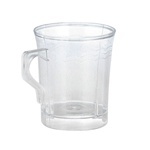 Enterprises Beer Mug Clear - 12 Oz. Libbey Stacking Glass Coffee Mugs 10 Oz. 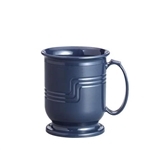 Vista Collection American Venture Mug - 8 Oz. Glass Mug Coffee Clear - 13 oz. 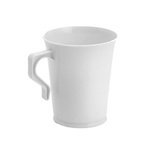 EMI Yoshi Plastic Polypropylene Coffee Mug White - 8 Oz. EMI Yoshi Plastic Polypropylene Coffee Mug Bone - 8 Oz. 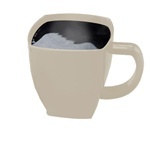 EMI Yoshi Plastic Polypropylene Coffee Mug Bone - 12 Oz. EMI Yoshi Plastic Squares Coffee Mug Bone - 8 Oz. 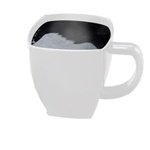 EMI Yoshi Plastic Squares Coffee Mug Black - 8 Oz. EMI Yoshi Plastic Resposable Clear Coffee Mugs 8 oz. 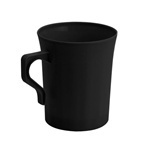 EMI Yoshi Plastic Resposable Black Coffee Mug - 8 oz. 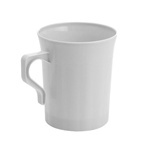 EMI Yoshi Plastic Resposable White Coffee Mug - 8 oz. EMI Yoshi Plastic Resposable Bone Coffee Mug - 8 oz. Western Boot Mug - 12.5 Oz. World Tableware Moscow Hammered Copper Mule Mug - 14 Oz. Copper Moscow Mule Mug - 14 Oz. 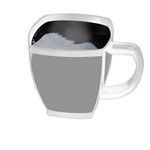 Cafe Glass Mug - 16 oz. Carmel Bell Shaped Mug - 7.5 oz. 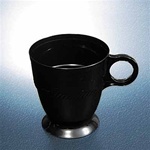 Disposable Plastic coffee cups and glass mugs at wholesale prices from the leader in restaurant supply. 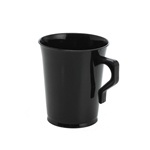 Choose from hundreds of plastic mugs for your next banquet, reception, or event. We have everything for beverage service.